Introduction: The main idea of this article is to present the present state and the future of research on crafts in Medieval Malbork. As the capital city of the Teutonic Order’s state, Malbork is very interesting because of the castle in the town. Crafts were practised both in the town and in the castle area, so relations and competition between them influenced their development. Along with trade, crafts were one of the most important foundations of economic life in Medieval and Early Modern towns. They were usually less profitable than trade, both from a financial and a social point of view. Malbork was one of the 93 towns of the Teutonic Order’s state, and, according to its political power and influence, it was one of the smaller towns; the large ones were Gdańsk Old Town, Toruń (Thorn) Old Town, Elbląg (Elbing) Old Town, Królewiec (Königsberg) Old Town, Chełmno (Kulm), and Braniewo (Braunsberg). According to its economy, Malbork could be counted as a ‘medium town’, like Chojnice (Könitz), Toruń (Thorn) New Town or Elbląg (Elbing) New Town. It was officially founded in 1286, like many towns and villages in this area, near an old Prussian settlement, called Santyr. When the Teutonic Knights started building a castle here, the new town grew up around the castle. 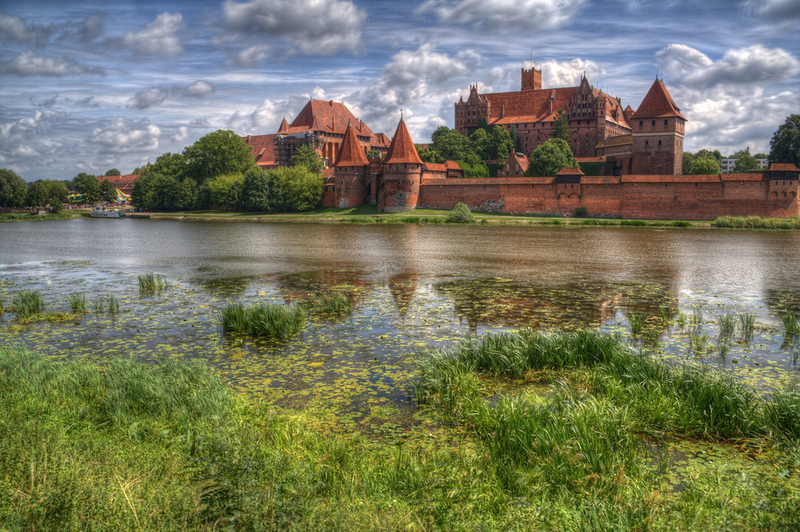 Malbork had probably been a storage and defensive place during the conquest of Prussia since 1279. From 1309, it was the capital of the Teutonic Order’s state, and the main residence of the Grand Master.